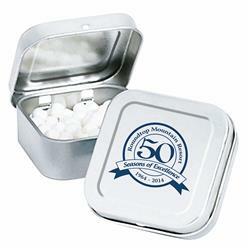 We love this new mint tin with a custom logo directly printed. 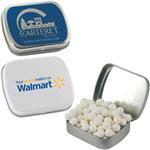 Stay fresh after every meal with our square mints. 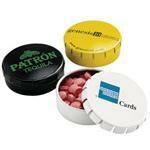 They come contained in a small tin that measures 1/2” x 1 7/16” x 1 7/16”. The lid of the container will feature your pad printed logo so that anyone who gets this will know that you always have their back. 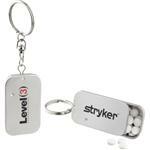 Great for Trade Show Giveaways! Typical Imprint Area(s): 1 1/4" x 1 1/4"